On the Ground’s purpose in Colombia is to assist Venezuelan refugees in all stages of their resettlement, primarily by supporting and advocating for independent and locally-run organizations. My first involvement in refugee work began in 2016 in Lebanon, where I volunteered in the refugee camps twelve kilometers from the Syrian border. In 2018 I worked on a boat landing crew and with a children’s program for Afghan refugees on the Greek island of Lesvos. 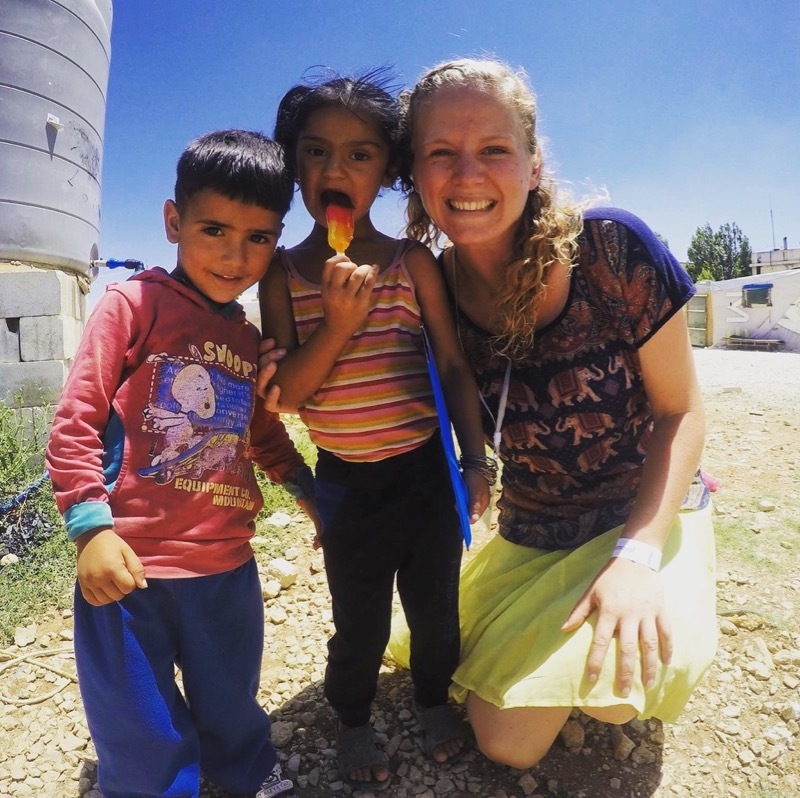 Both of these experiences endeared the refugee story to my heart. In 2018 I began reading news stories every day about the collapse of the Venezuelan economy and rising humanitarian crisis. I spent hours online, searching for organizations providing aid to the Venezuelans flooding out of their country, but I couldn’t find found anything. There were a handful of large NGOs that claimed to be supporting Venezuelan refugees in Colombia, but I couldn’t find any specific information on their projects, and my queries were unanswered. I finally decided to go to Colombia myself to assess what was really happening and how we can help. I was sure that there were already people here doing good work – I just needed to be on the ground to find them. Just as I thought, there are good people here! And they are doing good work. Most of the aid available to Venezuelan refugees comes from small foundations, churches, and even individuals who have dedicated their lives to assisting the most desperate Venezuelans. My goal with this website is to provide what I couldn’t find from home – a connection between those who want to help from afar, and those who are on the ground. The organizations we sponsor here are all organizations I have spent time with myself, and I can vouch for the effectiveness of their work. Thank you for being here, and for supporting our work on the ground!